The DBA-1510P access point is among a dedicated range of products to support Nuclias. D-Link is expecting to launch a new subscription-based, cloud-based network management solution in the coming weeks. It claims Nuclias enables managed service providers and business owners to remotely configure and monitor their network infrastructures anywhere and at any time. D-Link says its all-new app and online portal offer a range of flexible features that are accessible at the touch of a button. It says they give users complete autonomy to manage APs, and capture and analyse insights into every connected device. According to the firm, Nuclias provides a cloud-based management tool without the need for a local controller, reducing cost and complexity while streamlining network infrastructure. 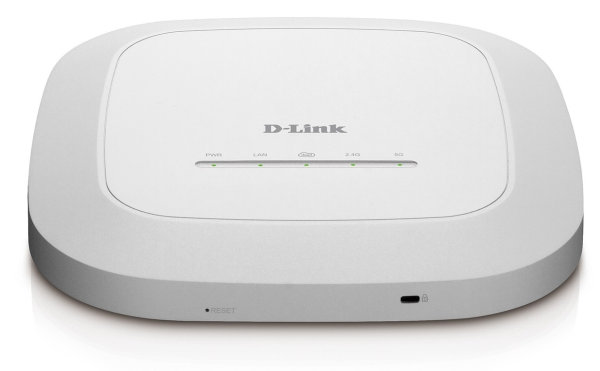 It also offers zero-touch provisioning for what D-Link claims is “ease of deployment and scalable architecture to support an unlimited number of devices”. The company adds that the platform’s multi-tenant structure allows deployment across multiple sites and companies, and its “advanced” traffic report and data analysis tools provide business owners and IT professionals with real-time insights. Other features include a secure role-based administration system and change logs that can be audited, authentication via captive portal, 802.1x, RADIUS server, as well as support for Facebook and Google login for guest Wi-Fi access, and automated network monitoring. Over the coming months, D-Link plans to introduce a complete line-up of high-performance Gigabit smart-managed switches with optional PoE and fibre connectivity to the Nuclias family of products. It has already introduced two 802.11ac APs to support the platform, the DBA-1510P and DBA-1210P.